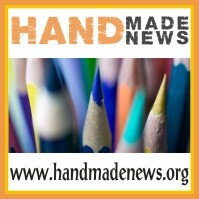 Today marks the hard launch date of HandmadeNews.org, the handmade crafting news magazine where I have been writing for the Business Tips department. For reference, “hard launch” in this case is like the official grand opening where potential advertisers are seriously courted. I’ve been writing articles freelance now for a while, but I accepted a columnist position with HandmadeNews.org a bit ago and have been off and running with that since. The pay is based on ad revenue only, not salary, so pennies for an entire article. Theory behind it being that as readership increases, article hits will increase and we’ll have a nicely tidy little pin money source. I’m willing to try it and love the idea of working with a startup company again. I can also do this in the evenings if I pick up a salaried position any time soon. 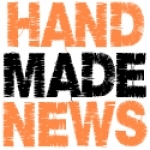 You are currently browsing entries tagged with handmadenews at More Than Just the Food.